Spring Cleaning | J.J. McLellan & Son "
Get your barbecue ready in 6 easy steps | The Test Kitchen Blog. Its time to get your BBQ ready for SPRING!!! Always be careful when it comes to BBQ fuel – Propane and Gas especially. Also remember to ensure you have a tight connection before turning your propane tanks on for the bbq supply. If you have any concerns with your gas line supply for the bbq be sure to contact a licensed gas technician. The link above to the Lennox Comfort Matters website has some great tips! Spring was certainly in the air today, it’s almost time to open windows and let the fresh air in. We’ve begun to “enjoy the beauty of spring inside” by painting our many rooms in our home! An instant fresh way to update our living space and personalize to “us”! Spring is another good time to change the filter in your furnace! Another thing my husband did was clean out the dishwasher, by unscrewing the food trap at the back… blech it was disgusting! But the dishwasher is working much better, means the dishes are getting cleaned properly saving water by not having to rewash! If you’re thinking of ways to update your space, one option to consider is possibly opening up a wall to provide more open concept. This is something we also did and provides heat from the sunlight coming in our front window, now flows throughout our front entrance and living room now! One other tip I’m continuing to work at, it seems to be an ongoing battle, decluttering! Let’s hope the Spring warm weather truly is on the way, if we get our Spring Cleaning done before all the snow melts, it’s more time to enjoy the outdoors! “Spring cleaning”, what about Summer, Fall and Winter? When is the last time you pulled out all your furniture to vacuum behind and clean under? We did just that tonight. Thankfully my husband is very understanding and used to my rearranging urges and ideas, tonight while doing so he flipped the couch and lazy boy’s over so I could clean under – WOW! Its hard to believe that we did this exact same cleaning in the Spring and how much dog hair, dust and “stuff” (oh stuffing too from dog toys) we found behind the couch and under it as well as the chairs. Pulling out the furniture also gave me another chance to vacuum out the cold air return – which remember isn’t supposed to be behind any furniture, ours is behind a side table and has room for air flow yet still gets dog hair and dust all over it! Just think… what we find behind and under our furniture is only a portion of the dust, hair and dirt that doesn’t make it through the vents and into the heating and cooling system! Unfortunately cleaning behind this furniture even 4 times a year, or more, still won’t stop dust, dirt etc from going into and through your system. So when is the last time you cleaned or changed your filters? When is the last time you even checked your filters? Or how about the last time you had your heating and cooling system cleaned and serviced? Did you know that many manufacturers do specify that the equipment must be serviced yearly or if it isn’t it could void some or all of your warranty! Car manufacturers do this too, if you’vd never had an oil change on your vehicle and something happens, why should they cover equipment that was never properly maintained. 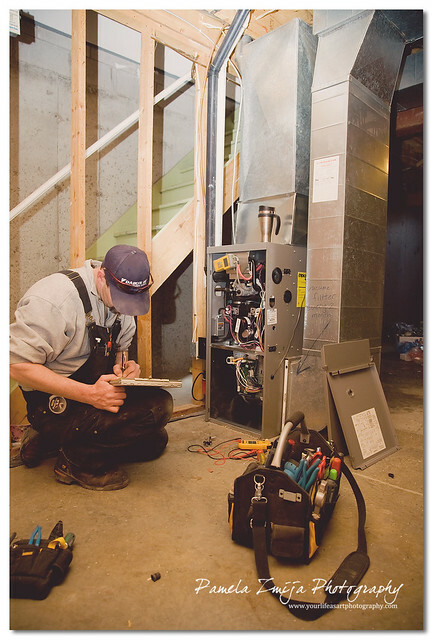 Your home or business heating and cooling system is very much the same! Some insurance companies also state the equipment must be maintained yearly by a trained professional. Did you know a dirty filter could even choke out the heating system, yup even your furnace has to breathe! I’m sure many of you, like us, enjoy opening the windows and doors to let the fresh air in, especially on these gorgeous cool nights! Living in a small rural town dusty roads are common, even on roads that are paved, with doors and windows open we let in not only the gorgeous fresh air but also dust and dirt. Some of this dust and dirt you will not even see, unless you change or clean your filters! I bet I could guess what pops into your mind, yeah I’ve thought of it, I know we need to do it but we are busy, I haven’t had time to call, I’ll get around to it, I’m sure its fine, it can wait. Unfortunately for some of our customers this is what they thought, and when does the furnace or heating system break down… when its cold or when its a holiday! Christmas 2011 we had a customer with 4 young children without heat, with a “builder standard” furnace in their almost brand new home and sick of “dealing with it”, we rounded up a bunch of heaters for them to get them through the afternoon and evening until the very next morning, bright and early a new (and much quieter) Lennox Furnace was being installed. Of course $h*t happens, we all know that. But if you could decrease your chances of having a break down in the middle of heating season and perhaps prevent a very costly repair or even replacement, its worth it! Help your family breathe a little easier and help your heating system run much more efficiently and economically! Always use a licensed gas technician (or properly trained electrical hvac technician for your electric furnace) to clean and service your equipment. Remember, you as the home owner have a right to know that the gas technician is licensed and works for a reputable and insured company! Give us a call at 1-866-565-5513 to book your annual cleaning and servicing. OR don’t wait until business hours, drop an Email For Service, Repair or New Install email to Pam or Mike, if you are thinking of a new install, and we would be happy to accommodate your needs and requirements! 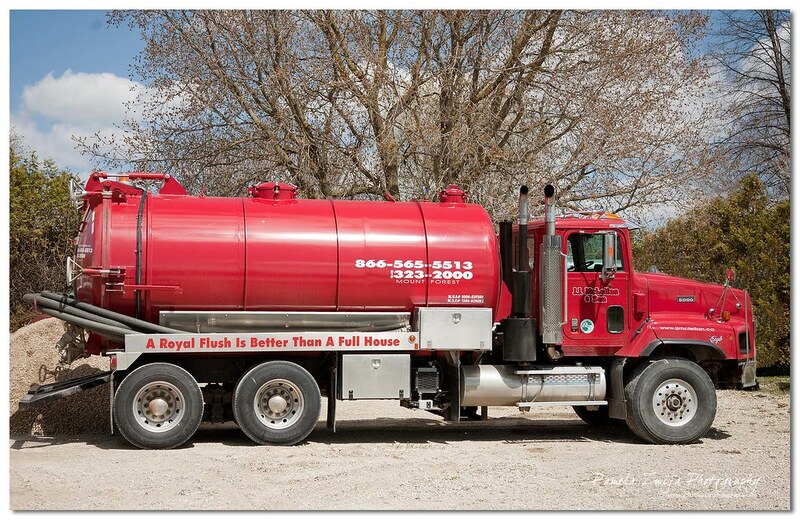 At JJ McLellan & Son Plumbing & Heating We Are The Home Comfort People Who Service What We Sell & More! A locally owned & operated business for over 60 years and 4 generations of family! With this gorgeous spring weather many of us have had our heating systems turned off… until yesterday that is! We held off as long as we could, however at bedtime last night we had to turn the furnace back on. Our fireplace has also been running the odd time in the basement for the past couple weeks. Now is a great time to ensure that your heating system is in tip top shape for heating season next year. Of course with cleaning and servicing there is no guarantee nothing will happen, however by having your equipment properly maintained and cleaned will not only save you in energy costs but also be cleaner in your home. Declutter! Go through paper, recycle or file. Closets – coat closets, clothes closets. Donate things that no longer fit. Scan any paper work and then shred. Go through kids toys, garbage broken ones and donate any they no longer play with. Visually inspect your Hot Water Heater, Furnace, Air Conditioner, Water Softener and any other plumbing or heating appliance to familiarize yourself with their sounds and ensure there are no visible leaks. *we do not recommend homeowners taking these appliances apart in anyway please leave the cleaning & servicing to a professional – home owners should perform visual inspections to ensure there is no water leaking or making unusual sounds. Don’t forget your outdoors Spring Cleaning tasks … check out the tips over at the Reliance Home Comfort Blog – The Outdoor Spring Cleaning Checklist.